For as long as I can remember, Antarctica was magical to me. I can’t remember a time when I didn’t want to visit. My father can confirm I talked about it even when I was young. It epitomized remote, untouched, and off-the-grid. I knew I’d be among a select group of travelers. It had always, always been a question of when, not if. So as a belated 30th birthday present to myself, I planned a trip with the friend who would become my “polar buddy.” For my best tips, skip to the end of the post. Now, a few years after the trip, the mystique is gone. I don’t get quite the same tingling in my spine. I do want to go back someday, to the interior, to the land of Emporer Penguins and ice tunnels (a girl can dream). But for each of you, I long for you to have the experience I did … of making a dream come true from anticipation to actuality to nostalgia. Often referred to as some of the roughest waters in the world, there is no significant land mass at the latitude of “The Drake.” This allows for the unimpeded flow of water through the passage, which makes for rough seas. Fair enough. The only expertise I can claim is my own experience, so I’ll stick with that. However, if you have a tendency to get seasick, you may want to speak to your doctor about choosing the right treatment before your trip. That said, I truly hope that if you want to go to this amazing place, you won’t be deterred by “The Drake.” And for the record, I do get seasick, but if four days of agony was the price I had to pay for Antarctica, I was still in. The way over was pretty standard, according to the staff. The underlying motion still made me plenty queasy though (excuse me while I go eat some ginger at the memory). On the way back to Ushuaia we got the “Drake Shake” with almost hurricane force winds. It was actually quite a serious adventure, and I even went up to the bridge of the boat to watch the waves come crashing over the bow. It was serious enough that we were not allowed outdoors, and it lasted about 24 hours. Polar Buddy, who does not get seasick, was very excited. Walking anywhere on the boat was a zigzag effort with the strong waves, and I quickly realized why there were no sharp edges anywhere, on anything, period. Chairs were battened down to the floor, and eating was a bit messy if timed incorrectly with the waves. Antarctica, you were still worth it. Ideally, you’ll be doing two landings per day. Getting into and out of the zodiacs you’ll ride to shore can be a handful if the waters are at all rough. Listen to the staff and watch your fingers. You are supposed to stay a certain number of feet away from the penguins, but in some places there are so many penguins you couldn’t do that no matter how hard you tried. Plus, with no natural land predators, they don’t care about you. At one point, I looked down and there was a penguin at my feet. They are busy little creatures. Unfortunately, we didn’t get to see emperor penguins. I would still like to see them at some point. Seals require more deference. We only approached with a guide to watch quietly. It really is pretty awesome to be that close to such a big animal on foot in the wild. 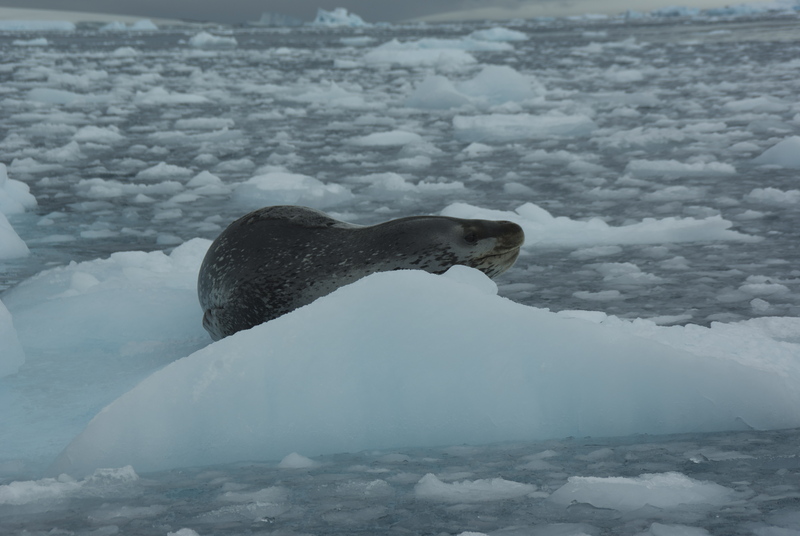 We also saw a leopard seal (they eat penguins, fyi) on a piece of ice from a zodiac. They look a little sinister, and they are fierce predators. What you will see in Antarctica: A tale of itineraries and icebergs So I had a vision in my mind of what I was going to see on my voyage to Antarctica. After all, I’d read my guidebook front to back. Once on the boat, I learned that I wouldn’t have exactly the postcard pictures I had my heart set on. I’d have others instead. Our trip went into the Weddell Sea, which I was told is less common. 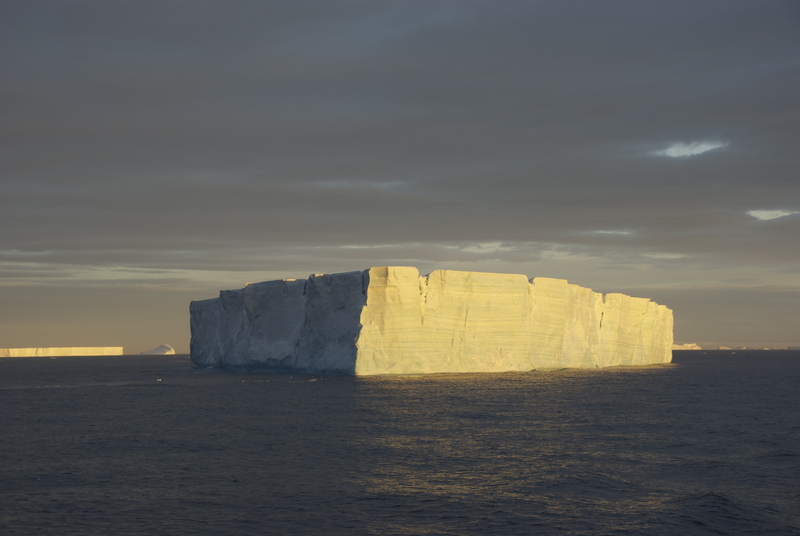 One of the unique characteristics of the Weddell is the presence of tabular icebergs. Flat on top with sheer sides, they are very large and breathtaking to behold. 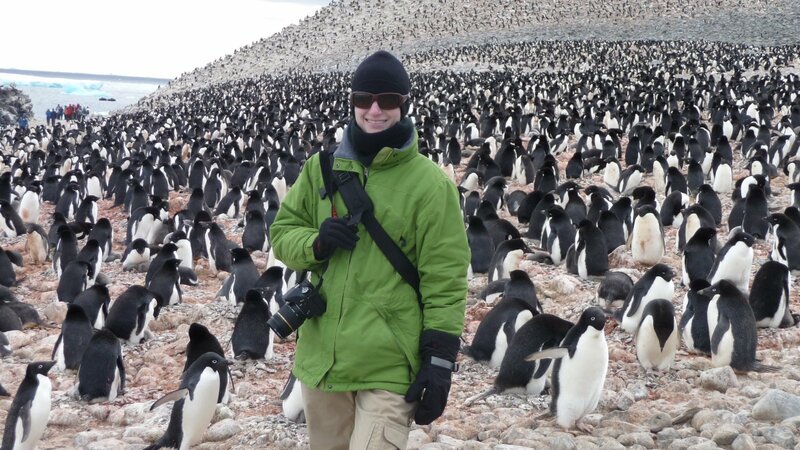 I recently spoke to Joy Martinello of Expedition Trips (who helped Polar Buddy and me plan our trip to Antarctica) to make sure I had the most accurate information on what type of itinerary to expect. She explained that operator itineraries are deliberately vague due to the highly variable weather conditions (this is Antarctica after all), and that your expedition leader is creating your experience as you go. The operators want to ensure you have the best experience. This means heading to spots that have rich wildlife and where conditions (water, weather, ice) will actually allow you to get ashore. And for those purists who want to have a true continental landing (vs. only islands, which tend to have great wildlife), it usually does happen, according to Joy. No guarantees of course. It did for me personally; I got to check off continent number seven fair and square. Figure out what matters to you: Price points can vary significantly, and it is an expensive trip. I cared about safety and getting ashore, along with price. I determined a value equation that worked for me, and I was very happy. Don’t forget about booking your flight from Buenos Aires to Ushuaia early and include buffer time: Most visitors are going to Ushuaia for the same reason you are. Make sure you get this locked early. Also, I left a full extra day in BA in case something happened with my flight from the US. I wasn’t missing the flight to Ushuaia. Consider a clear camera filter to protect your lens: Not expensive and useful with the frequent saltwater spray, especially in the zodiacs. Zodiacs are great places to take pictures so you’ll want to feel comfortable doing so. Also, I had a condensation issue at one point, and I removed the filter and it cleared up. I was happy to have it happen on the clear filter and not the precious lens! Let the experience unfold: More than many other places I’ve been, this one you have to let go once you get on board. 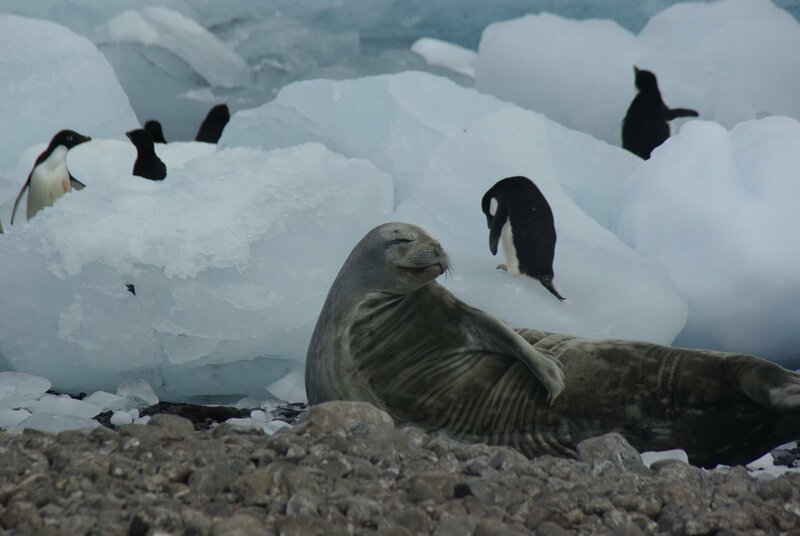 Antarctica is still remote, and your journey will be special because it belongs to you. If you’ve been to Antarctica, what is your favorite memory or best tip? If you haven’t, is it on your list? Why or why not? Pretty exciting trip! Will follow your site to enjoy the your trip from a much warmer seat! Good luck and a safe journey and enjoy. Thanks! And yes, penguins are great. Hopefully you’ll get a chance to make the trek another time.